Osun state Deputy Governor, Mrs Grace Titi Laoye-Tomori has denied having any alliance with other political parties in the state. She therefore urged members of the public to disregard any malicious publication being circulated on the social media of her alliance with some political groups in the state. Rather, she reiterated her undaunted commitment and loyalty to the All progressives Congress in the state and the joint assignment with the Governor, Ogbeni Rauf Adesoji Aregbesola. Tomori described the malicious publication as false and an attempt by some unpatriotic elements in the State to cause confusion and disaffection among the All Progressives Congress family in Osun. The Deputy Governor said that the publication is fictitious and an imagination of the writer aimed at damaging and casting aspersion on her reputation and political goodwill. "I was not at any political meeting as maliciuosly circulated on the pages of social media and I want to urge members of the public as well as members of the All Progressives Congress to discountenance such distractions by some disgruntled elements in the State," she said. 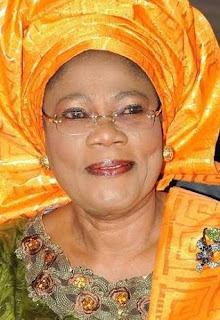 She urged party members to work together to achieve victory in the forthcoming Gubernatorial election in the state.